Activity feeds display our behaviour into an event-based timeline, so we can follow along with our actions as we experience a product. Having a realtime feed improves the user experience and gives instant data synchronisation relating to the actions taken by the user or their collaborators. 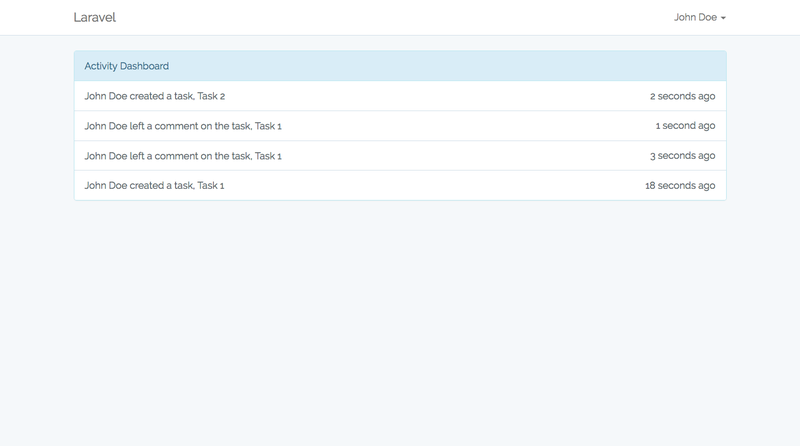 Today, we will create a realtime Activity Feed using Laravel and Pusher. With the release of Echo, Laravel has provided an out of the box solution for implementing a realtime data synchronisation using event broadcasting. It is simple and we can get started in a matter of few minutes. We need to sign up to Pusher and create a new app. We will create a basic to-do application for the purpose of this article. We will not cover anything relating to writing CRUD functionality using Laravel. We will concentrate on the code necessary for implementing a realtime Activity Feed. The code is available on a Github repository for cloning and understanding purposes. To record activity for a specific model, we need to track any model updates whenever it is created, updated or deleted. We will create a trait which will hijack these events and store the necessary data into the activities table. bootRecordsActivity - Eloquent will automatically trigger this method. This will be the starting point for the process of recording the activity. getModelEvents - This method will return an array of model events that are to be recorded. We can overwrite this in our Model if necessary. * Register the necessary event listeners. * Record activity for the model. * Prepare the appropriate activity name. * Get the model events to record activity for. The event should implement a broadcastOn method. This method should return the channels to which the event should be broadcast. We do not want any user of the app to able to listen to all the broadcast activity. To avoid this, we will use the PrivateChannel to broadcast our event. For broadcasting on a public channel, we can simply use the Channel class. Installation and configuration of Laravel Echo is a must before we can start listening to feeds. We have covered the process in detail in the above section of this article. Please go through it if you might have skipped it. That's it! Now, whenever a new activity is recorded, it will be broadcast and we can listen using this private channel. 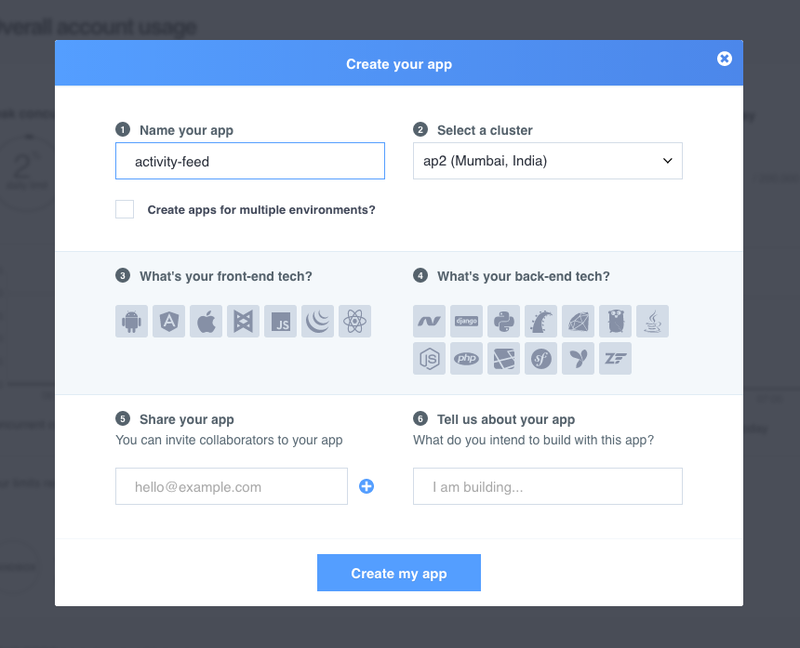 In this article, we have covered how to create a realtime Activity Feed for our application. We have covered the configuration options necessary to get started, and the examples above should help you fill in the gaps and give an overview of some of the other configuration options available to you. The code is hosted on public Github repository. You can download it for educational purposes. How do you use Laravel and Pusher for activity feed? Can you think of any advanced use cases for this library? What are they? Let us know in the comments!